Below is the text of the maiden speech made by John McDonnell in the House of Commons on 6 June 1997. I have been made aware of the conventions of maiden speeches, especially the tradition of paying tribute to one’s predecessors. I have no problem with praising many of the previous Members of Parliament for Hayes and Harlington: men such as Walter Ayles, a good socialist who took a special interest in aid to Africa; Arthur Skeffington, a superb housing Minister in the Wilson Government; and Neville Sandelson, a good man who unfortunately fell victim to the delusions of grandeur of David Owen. Despite my respect for the conventions of the House, I shall not perjure myself by praising my immediate Tory predecessor. Many saw him simply as a Tory buffoon, and he was once described as a “pig’s bladder on a stick”. When he chose as his election slogan, “We love Dicks”, we were not sure whether to laugh or to call in the obscene publications squad. However, Terry Dicks was not a joke. He was a stain on the character of this House, the Conservative party which harboured him and the good name of my constituency. He brought shame on the political process of this country by his blatant espousal of racism and his various corrupt dealings. He demeaned the House by his presence, and I deeply regret that the Conservative party failed to take action to stem his flow of vile bigotry. Thankfully, my constituents can now say good riddance to this malignant creature. My speech in this debate, and many others today, have been more than 10 years in the waiting. In the newspapers this week, we have seen pictures of 50,000 people demonstrating for democracy by holding candles in a park in Hong Kong. More than a decade ago in our capital city, more than 250,000 Londoners stood silently in Jubilee gardens on the last night of the GLC when the lights were turned out in County hall. As the GLC councillor for Hayes and Harlington council and deputy leader of the authority, I was among them, and we tearfully sang “We’ll Meet Again”. After all this time, we are about to meet again. The abolition of the GLC was self-evidently an act of malignant spite by a Prime Minister in the first demented throes of megalomania. Harold Laski, a good socialist and once the chair of the Labour party, prophetically explained that Britain would not experience fascism in the form of a strutting Mussolini or Hitler, but instead was vulnerable to a form of Conservative authoritarianism arrived at by the slow incremental erosion of our civil liberties and democratic institutions. Under the Thatcher regime, the institution of democratic local government was bombarded by the introduction of rate capping, the surcharging of the Lambeth councillors and the abolition of the GLC, culminating in the establishment of the government of our capital city by an appointed state: the appointment of Tories, by Tories, to line the pockets of Tories. What has that plethora of quangos and joint committees achieved for our city? In the custodial care of the Tory appointees, 40,000 families in London are homeless every year; up to 3,000 people sleep on our streets in winter; crime has doubled, with a terrifying and unrelenting increase in violence; our manufacturing and economic base has collapsed; our health service is in crisis; and our transport system is gridlocked, with the effect that traffic is slower than at the turn of the century. Many of us will never forget or forgive the Tories for the scale of their neglect of our city. For most of the past decade, I served as the chief executive of the Association of London Authorities, and latterly the Association of London Government. After 10 long years of designing blueprints for a new strategic authority in that capacity, I am naturally pleased that, at last, we have the opportunity to start the reconstruction process. I also warmly welcome the fact that, in the spirit of open government and inclusiveness, there is to be a thorough consultation process, including a Green Paper, a White Paper and a referendum before the final legislation. It is critical in the consultation process that views are honestly expressed and listened to if we are to avoid putting in place a structure that we shall live to regret. In that spirit, I want to set out some initial views on the basic architecture of the proposed new government for the capital. There was a consultation process in the Labour party on the structural options for the new authority, but it is no secret that the proposal for a directly elected mayor was the result of enthusiasm from above. I have tried to analyse why, deep within me, I have such reservations about the proposal; it is certainly not because of an emotive claim that the system is somehow alien to this country. 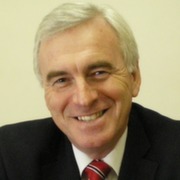 It is partly because it grates against my notion of democratic socialist practice, which involves the development of a policy programme by the party for presentation to the electorate, and in which the electors vote primarily for a set of ideas and policies associated with an ideology and advocated by a party rather than voting for their impressions of an individual. That is a vote for the many, not the few—and certainly not for one. I also have practical concerns about accountability and the potential for the abuse of power and corruption in a mayoral system. Nevertheless, the proposal for a directly elected mayor was contained in the manifesto on which our party was elected, so I look to the detail of the design of the relationship between the mayor and the elected authority to ensure political accountability and to secure probity. The checks and balances that are essential to ensure accountability would at a minimum include, for example, the election of the mayor’s cabinet by, and from among, the authority members; the approval by the authority of the overall budget and major spending decisions; a system of scrutiny of policy making; the ratification by the authority of any senior staffing appointments; and the right of the authority to express no confidence in the mayor and to trigger an election—in effect, a right of recall. The strategic role and powers of the new authority are almost self-evident in terms of the immediate and concrete needs of Londoners: economic regeneration; an efficient integrated transport system; a decent environment; and a feeling of safety from crime and hazards. My plea is simply that the legislation that we pass be sufficiently flexible to enable the new authority to meet new challenges as they arise. That may require a more general power of intervention, if necessary triggered by a decision by the electorate, the Secretary of State or the House. On funding, I agree that the allocation of powers and responsibilities without resources is pointless. The inheritance of existing precepts and the transfer of grant from central Government without capping, combined with the ability to borrow, would go a long way towards resourcing the new authority and achieving some economies of scale that would release new money. I also plead for flexibility in the legislation, to enable the new authority to explore new funding streams, possibly by hypothecated levies again triggered by the Government, by the House or by referendums. Some discussions have already taken place on the location of the new authority. Naturally, I prefer the retrieval of county hall, if necessary by compulsory purchase. I would certainly welcome an inquiry into the sale of county hall under the previous regime. As an alternative, the Middlesex guildhall across Parliament square would be suitable. We have been informed that the Prime Minister has assured the Corporation of the City of London of its continued existence. Thus, the City’s guildhall is not available for use. Labour remains committed to reforming the City’s archaic and undemocratic procedures. I hope that the City corporation will produce its own options for reform. By way of an incentive to expedite matters, I give notice that, unless reform proposals are forthcoming at the appropriate stage of the Bill enacting the new authority, I am minded to seek to insert a clause to abolish the City corporation—a generally uncontentious measure, I suggest. On the representative nature of the authority, whatever its size and method of election, I would argue that it should reflect the gender balance and ethnic diversity of our community. We should ensure the full involvement of all the social partners, of both sides of industry in the capital, in its deliberations and decision making. As a child, my first political awareness came when Wilson was in Government, John F. Kennedy was President of the United States and Martin Luther King had a dream—a dream of a new society, of equality and decency for our children. I believe that the last Greater London council administration was part of that dream; it was about building a new beginning for our city. The new authority that we are putting in place will be part of the procedure that will allow us to dream that dream again; a dream of a decent civil society in which equality reigns. I am pleased that I am going to be part of the process of making that dream a reality.